An instant makeover to make your bride to be, really look the part! 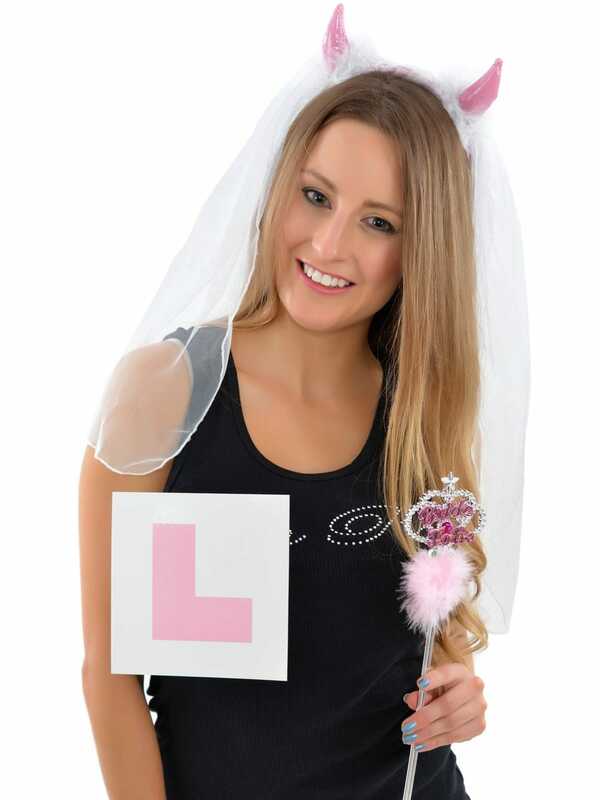 It features funky pink PVC horns with a white marabou trim, with an attached veil, a large pink L plate badge and a super silver wand with a bride to be message with a pink fluffy trim. This bride to be set is a really great gift for any bride to be. Showing our 2 Pink Bride To Be Set Hen Party Devil Set reviews with an average rating of Excellent. Would you like to write a review?